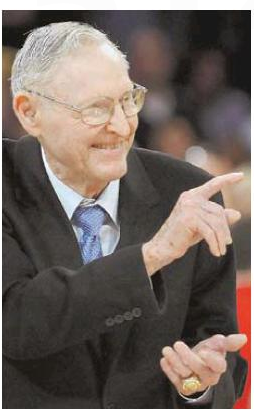 Boston Celtics legend Bill Sharman died yesterday, and both local dailies outsourced his obituary. The Boston Globe picked up the New York Times obit (apparently the Globeniks are not listening to the redoubtable Dan Kennedy at Media Nation). NEW YORK — Bill Sharman, who was elected to the Basketball Hall of Fame twice, first as a sharpshooting guard who helped establish the Boston Celtics dynasty in the 1950s and then as the coach who led the 1971-72 Los Angeles Lakers to a record 33-game winning streak and the NBA title, died Friday at his home in Redondo Beach, Calif. He was 87. A perfectionist as both player and coach, Mr. Sharman is also credited with introducing what is now a fixture of the pro and college games: the morning shoot-around, a light game-day workout to loosen up, set strategy, and prepare for the evening’s contest. 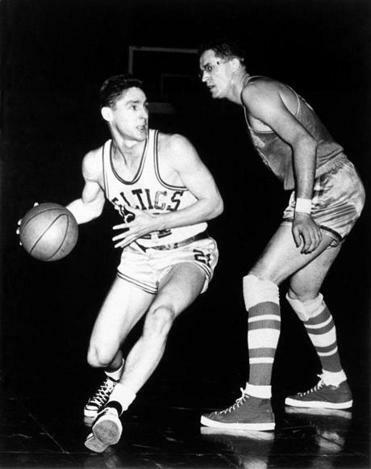 For 10 seasons beginning in fall 1951, Mr. Sharman teamed with the playmaking guard Bob Cousy to form one of the NBA’s legendary backcourts . . . The Boston Herald went for the Associated Press sendoff. LOS ANGELES — Bill Sharman effortlessly straddled both sides of the Celtics-Lakers rivalry, winning championships and making friends from Boston to Los Angeles during a unique basketball career. Very likely both papers will have remembrances in their sports section tomorrow. But for today, Sharman lost home court advantage. This entry was posted on Saturday, October 26th, 2013 at 7:37 pm and is filed under Uncategorized. You can follow any responses to this entry through the RSS 2.0 feed. You can leave a response, or trackback from your own site.